Make beautiful summer themed world with Montessori Preschool Project Summer - 123 Kids Fun. 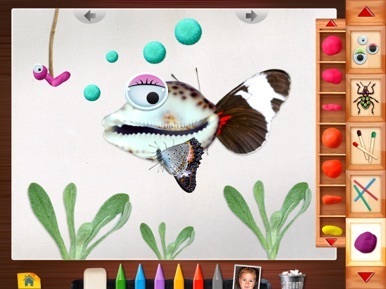 We have collected tons of summer treasures for you to create characters, animals and objects. Montessori Preschool Project Summer - 123 Kids Fun will provide many hours of extremely creative fun. 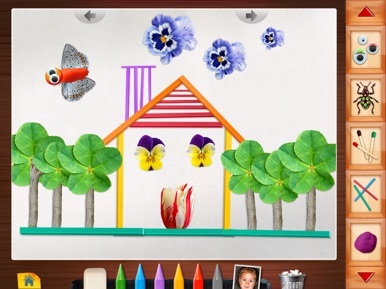 Use shells and flowers to make a butterfly. 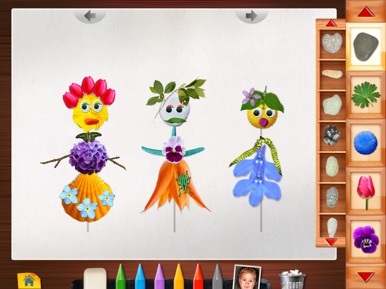 Take a few insects, flower petals, sticks and funny eyes and create favourite cartoon character. You have six blank pages­ why not create fairies and their houses with leaves, twigs and silly pompones. The only limit is your imagination. Once you have finished creating your masterpiece, you can store it and re­edit it. Additionally, there are 10 illustrations for beginners to spark your imagination. 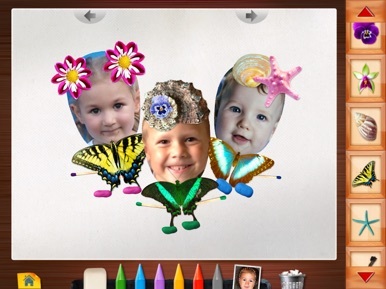 Take pictures of your family, relatives or friends and create original summer frames. Adults and educators can prepare math tasks using numbers and children can enter answers using flowers or stones. Teachers can type letters of the alphabet and children can create objects beginning with those letters. When you are done playing, take your loved ones for a walk and collect summer treasures. 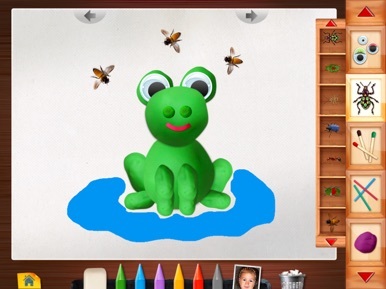 Use what you collect to recreate what you have made with Montessori Preschool Project Summer - 123 Kids Fun, or do something completely new and then recreate it with our App. Hours and hours of creative fun guaranteed! The Secure Home is a control panel mobile phone app that specially designed for eTiger Product, to arm,disarm, the alarm control panel,etc via WIFI and GSM. The Timaru App features local news, sport, information, events, and much more. Its all about the Timaru community and its surrounds. Now you can get all the information you need in one place, when-ever and where-ever you are, all on your smart phone. Download the Timaru App today.